Weathered finishes are lingering in my consciousness (and not just because I happen to currently be under the weather…ha!). 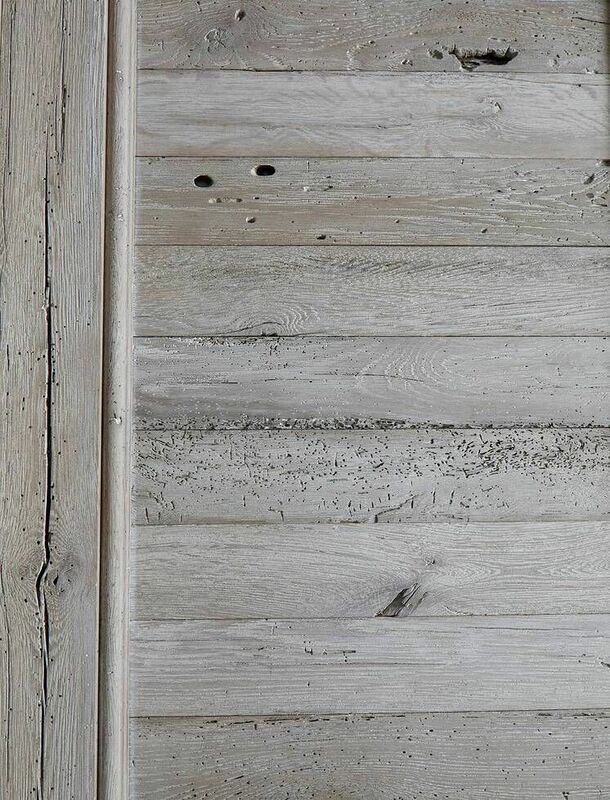 Ever since I shared a taste of the sophisticated and thoughtful work of Jeffrey Dungan the other day, I have been pondering the power of a distressed, aged, or weathered finish to impart powerful wow factor, contrast, texture, and design beauty. Today’s Weathered Finishes & Lovely Decor Finds drives the point home. 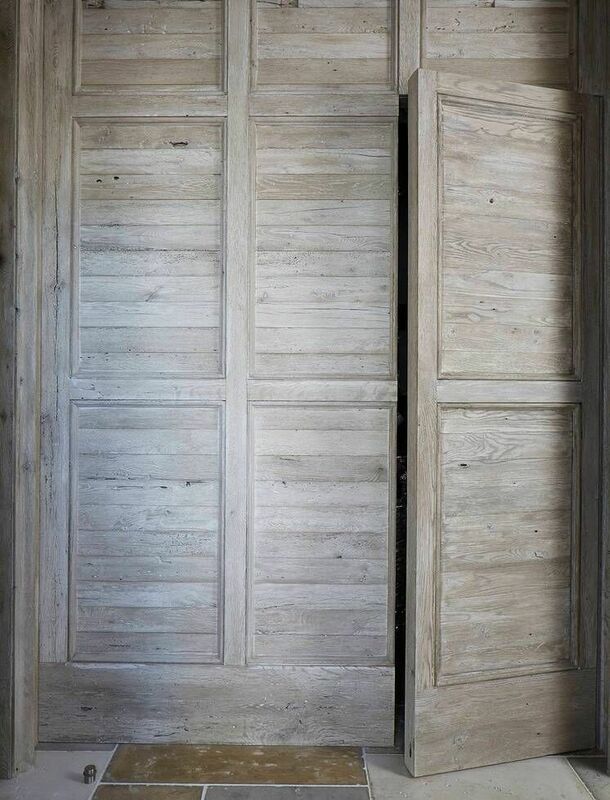 Whether the weathered finish is organic and purely original or “helped along,” there is something undeniably magical about the history and character a rich one adds to a room’s soul. A slightly Nordic French and romantic cottage style bedroom with beadboard detailing and planked wood wall by Hello Lovely Studio. See our DIY remodel of this room RIGHT HERE. Wall planks: Stikwood (Hamptons). Flooring: natural white oak, left unstained. 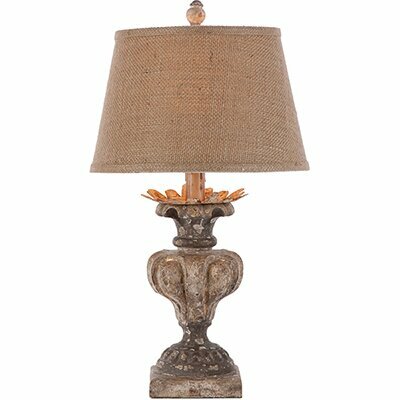 Lamps, linen shades, and burlap pillows: RH. Crochet bedskirt: Garnet Hill. Paint on furniture: Benjamin Moore Revere Pewter. Weathered Finishes & Lovely Decor Finds…because they add beautiful texture, contrast, and character to a range of interior design styles. 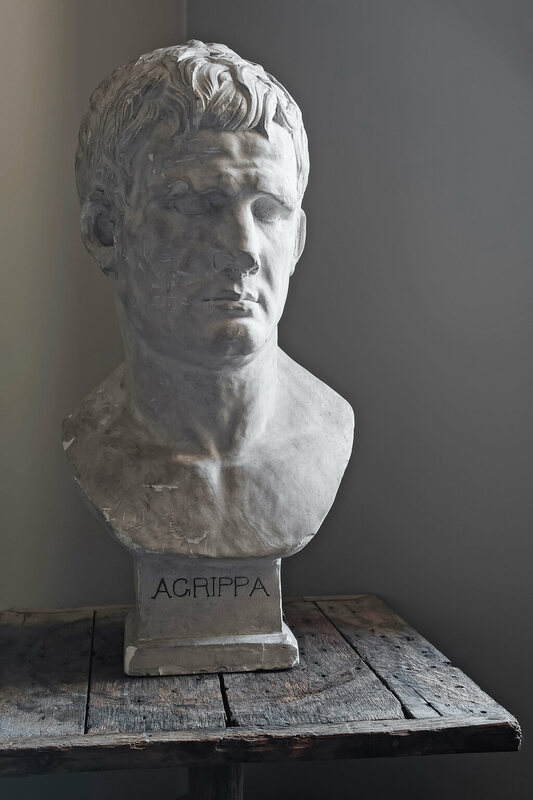 Ideally, the weathering happens naturally with time, use, and exposure to the elements. But in many cases, a smart weathered look may be created with imagination, tools, and labor. In our own home, I knew the master bedroom in our ’90’s era home could benefit from a grand weathered statement. 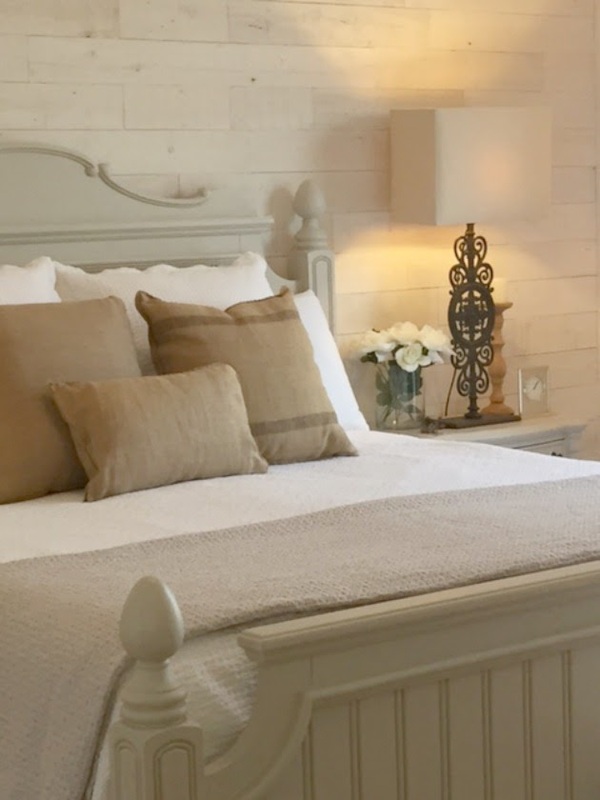 We installed Stikwood’s Hampton planks on the wall behind the bed, and the neutral room instantly felt more natural and warm. See that DIY RIGHT HERE. These peel and stick planks are real, reclaimed, whitewashed pine boards, and our own installation from floor to ceiling took about three hours. A slightly Nordic French and romantic cottage style bedroom with beadboard detailing and planked wood wall by Hello Lovely Studio. See our DIY remodel of this room RIGHT HERE. 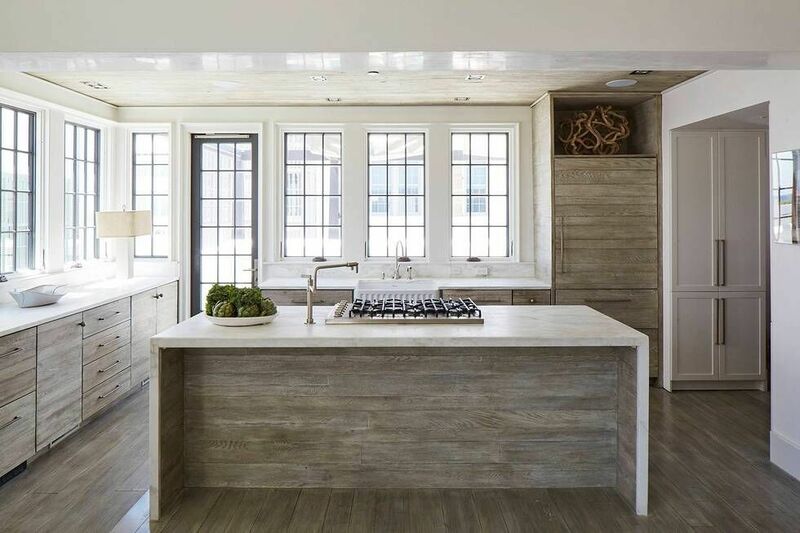 Wall planks: Stikwood (Hamptons). Flooring: natural white oak, left unstained. Lamps, linen shades, and burlap pillows: RH. Crochet bedskirt: Garnet Hill. Paint on furniture: Benjamin Moore Revere Pewter. Weathered Finishes &amp; Lovely Decor Finds…because they add beautiful texture, contrast, and character to a range of interior design styles. 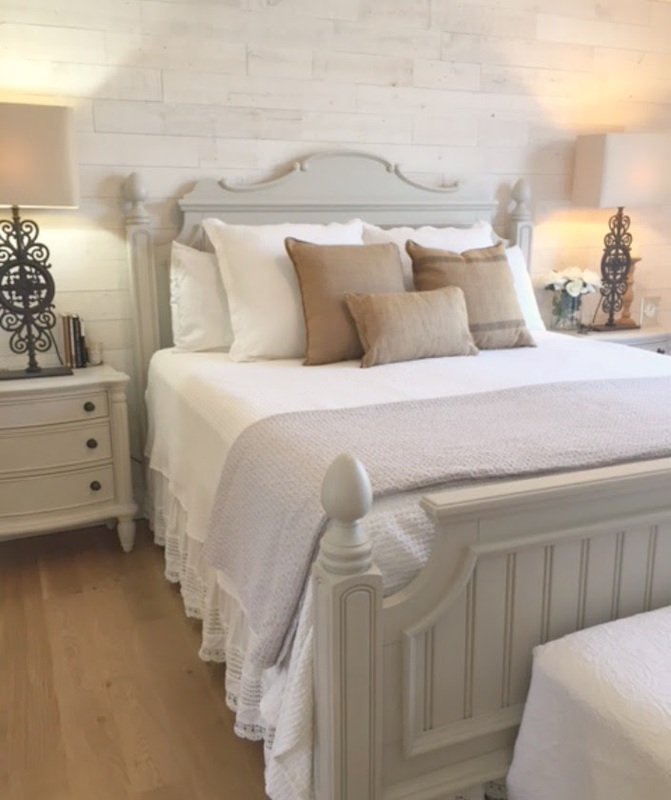 Another way I added a weathered look to our bedroom was by adding a grey glaze to the furniture in the room. I brushed on an airy thin mixture of about one part paint (Benjamin Moore Revere Pewter) to one part water so that the antique candlelight white finish underneath peeks through. I love the result because not only did I arrive at more satisfying color for the furniture, the soft/simple/lazy paint technique created a subtle striated effect which simulates wood grain or a linen weave, depending upon how you perceive those materials. 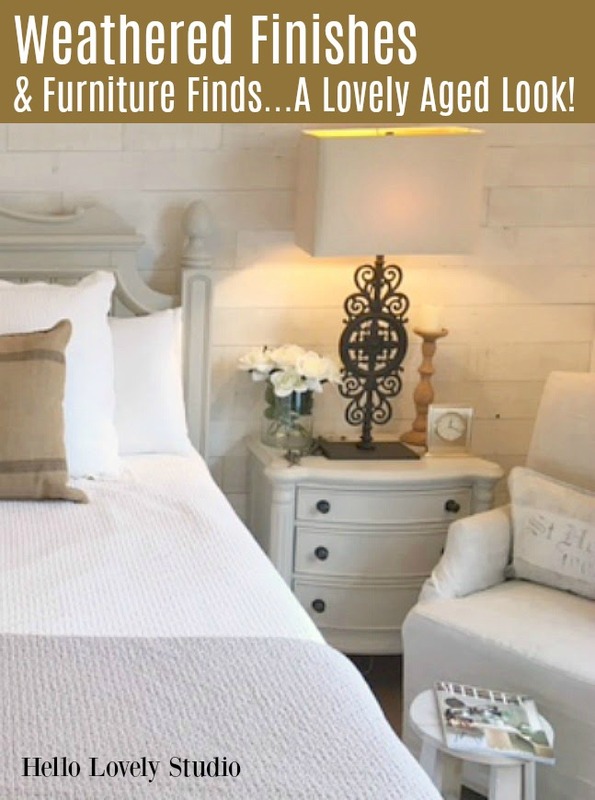 Let’s review a few weathered textural inspirations that recently struck my fancy before considering a host of pretty decor and furniture items graced by antiqued, aged, or weathered details. © The Nature of Home: Creating Timeless Houses by Jeffrey Dungan, Rizzoli New York, 2018. ©William Abranowicz. Timeless Architecture Inspiration: Jeffrey Dungan. Timeless architectural and interior design with classic, natural, sophisticated, bespoke style.See more design RIGHT HERE. Weathered Finishes & Lovely Decor Finds…because they add beautiful texture, contrast, and character to a range of interior design styles. 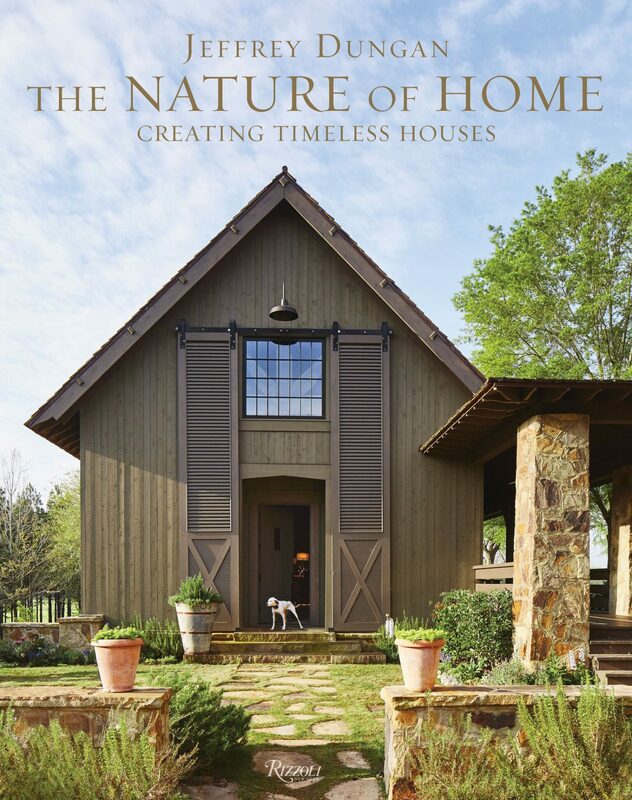 © The Nature of Home: Creating Timeless Houses by Jeffrey Dungan, Rizzoli New York, 2018. ©William Abranowicz. Timeless Architecture Inspiration: Jeffrey Dungan. Timeless architectural and interior design with classic, natural, sophisticated, bespoke style. See more design RIGHT HERE. Weathered Finishes & Lovely Decor Finds…because they add beautiful texture, contrast, and character to a range of interior design styles. © The Nature of Home: Creating Timeless Houses by Jeffrey Dungan, Rizzoli New York, 2018. Photo: ©William Abranowicz. Timeless Architecture Inspiration: Jeffrey Dungan. Timeless architectural and interior design with classic, natural, sophisticated, bespoke style. See more design RIGHT HERE. Weathered Finishes & Lovely Decor Finds…because they add beautiful texture, contrast, and character to a range of interior design styles. Wynchelse – a coastal cabin with beautiful light in East Sussex (near Wynchelsea Beach & Rye). Available to lease for vacations or photo shoots via The Beach Studios & Locations. Interior Design/Photo: Atlanta Bartlett & Dave Coote, authors of PALE AND INTERESTING: DECORATING WITH WHITE, PASTELS AND NEUTRALS FOR A WARM AND WELCOMING HOME. Shabby Chic White English Cottage Design Inspiration. 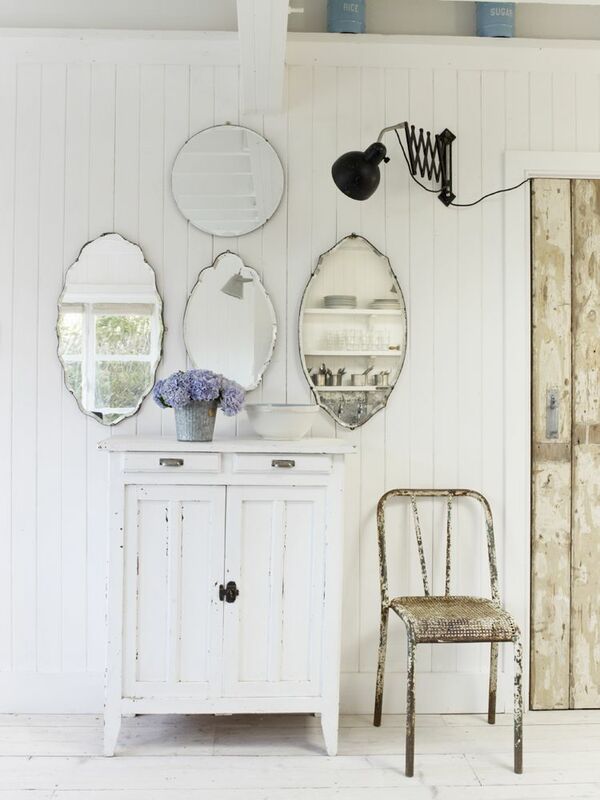 Vintage style, English country sensibilities and all white decor in addition to rustic country charm. See the rest of this rustic cottage RIGHT HERE. Weathered Finishes & Lovely Decor Finds…because they add beautiful texture, contrast, and character to a range of interior design styles. 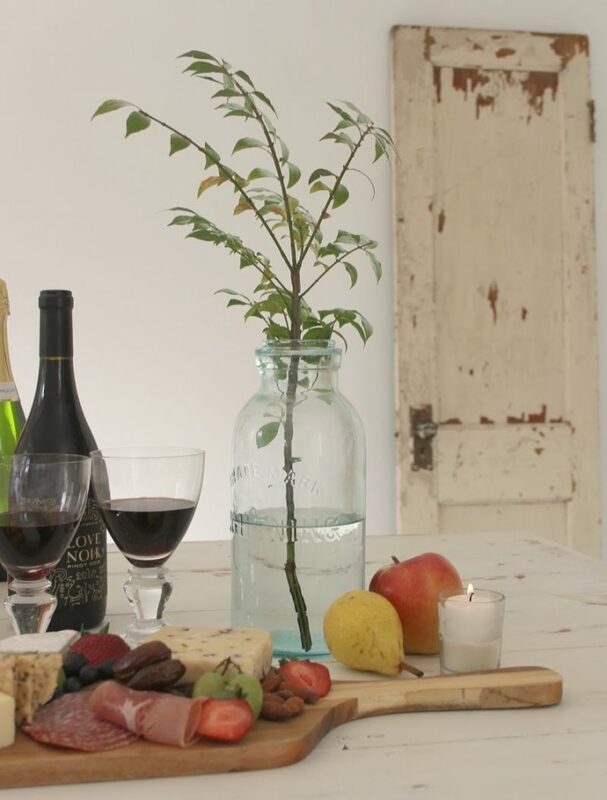 Weathered door with peeling paint, white farm table, and cheeseboard create a serene vignette and suggest French farmhouse style by Hello Lovely Studio. See more of my home RIGHT HERE. Weathered Finishes & Lovely Decor Finds…because they add beautiful texture, contrast, and character to a range of interior design styles. Michael Del Piero Good Design With Lukas Machnik. Photo: Lukas Machnik. Because…HELLO, LOVELY! See more design from MDP RIGHT HERE. Weathered Finishes & Lovely Decor Finds…because they add beautiful texture, contrast, and character to a range of interior design styles. Design: Michael Del Piero. Photography: Janet Mesic Mackie and Tony Soluri. See more design from MDP RIGHT HERE. Weathered Finishes & Lovely Decor Finds…because they add beautiful texture, contrast, and character to a range of interior design styles. 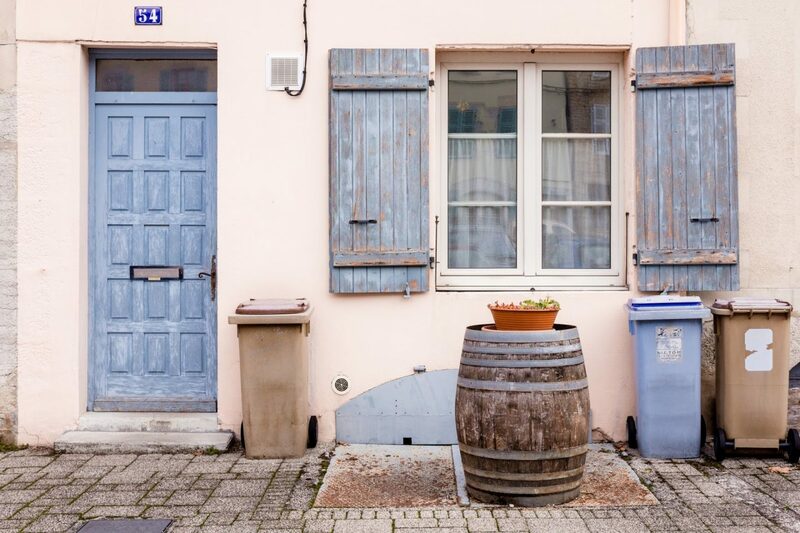 Provence Exterior Design Inspiration. 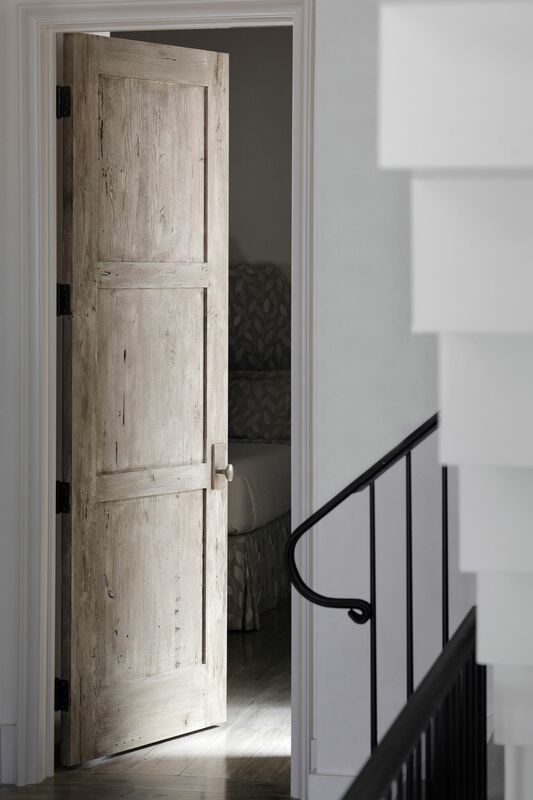 Rustic French Country Doors & Healing Thoughts. Photo: The Flying Dutchwoman. 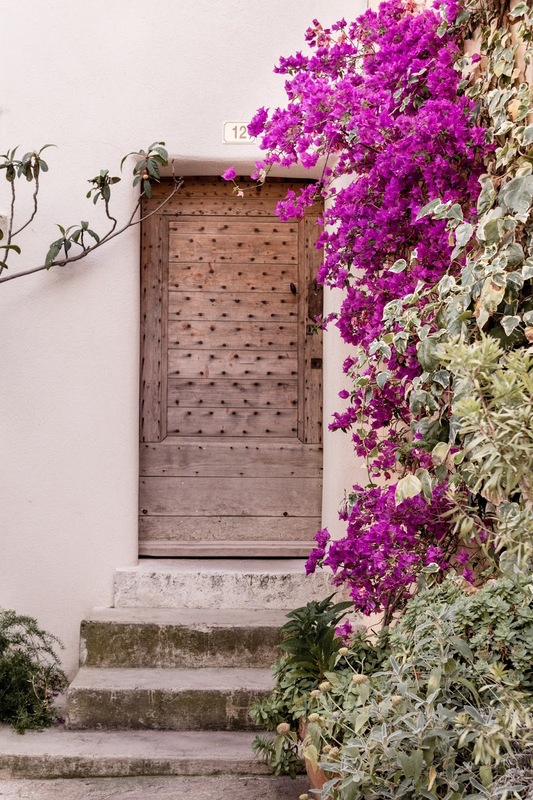 Crumbling stone, weathered antique doors, and climbing vines create a romantic sight in the Gulf of St. Tropez village of France. See more French country door inspiration RIGHT HERE. Weathered Finishes & Lovely Decor Finds…because they add beautiful texture, contrast, and character to a range of interior design styles. Dining room. Empire style chandeliers float over a rustic farm table surrounded by linen slipcovered dining chairs. 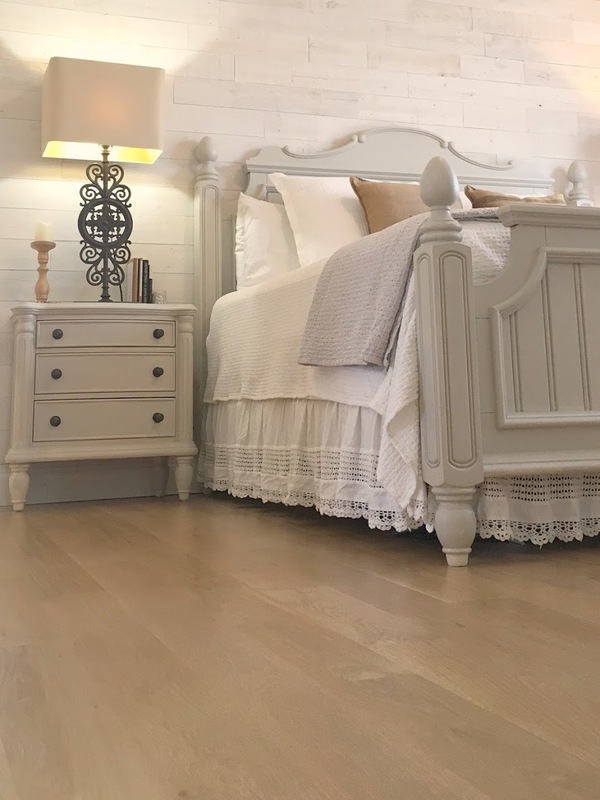 Herringbone pattern wood floor, antiques, and neutral color palette sing. A 19th century restored French chateau. Avignon Hôtel Particulier. See the fantasy house tour RIGHT HERE. Photo: Haven In. 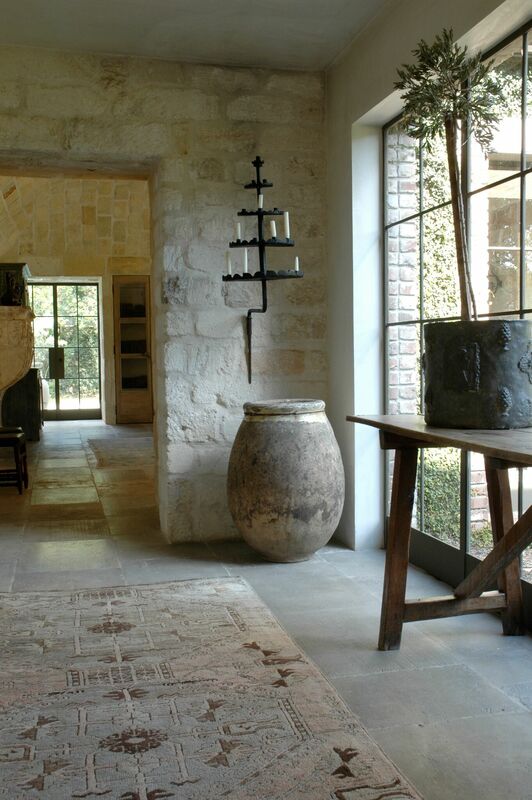 Rustic elegance and Provencal interior design inspiration. Rustic and elegant: Provençal home, European farmhouse, French farmhouse, and French country design inspiration from Chateau Mireille. Photo: Haven In. South of France 18th century Provence Villa luxury vacation rental near St-Rémy-de-Provence. Weathered Finishes & Lovely Decor Finds…because they add beautiful texture, contrast, and character to a range of interior design styles. A 19th century restored French chateau. Avignon Hôtel Particulier. Photo: Haven In. 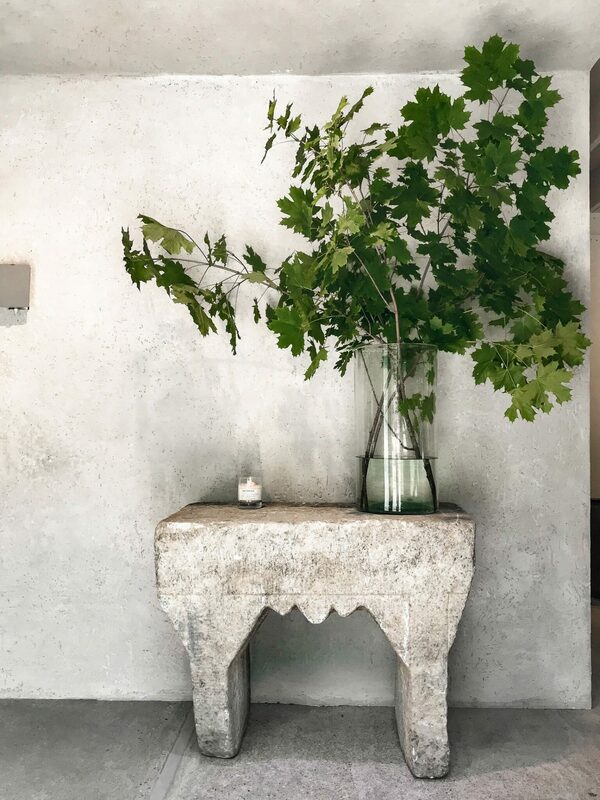 Rustic elegance and Provencal interior design inspiration. See this house tour RIGHT HERE. Weathered Finishes & Lovely Decor Finds…because they add beautiful texture, contrast, and character to a range of interior design styles. Home of Ruth Gay of Chateau Domingue. See the house tour RIGHT HERE. Weathered Finishes & Lovely Decor Finds…because they add beautiful texture, contrast, and character to a range of interior design styles. I have viewed more than my share of DIY tutorials demonstrating various ways to create a weathered oak finish. Most call for a walnut-toned stain, a grey-stain, and a creamy wax. 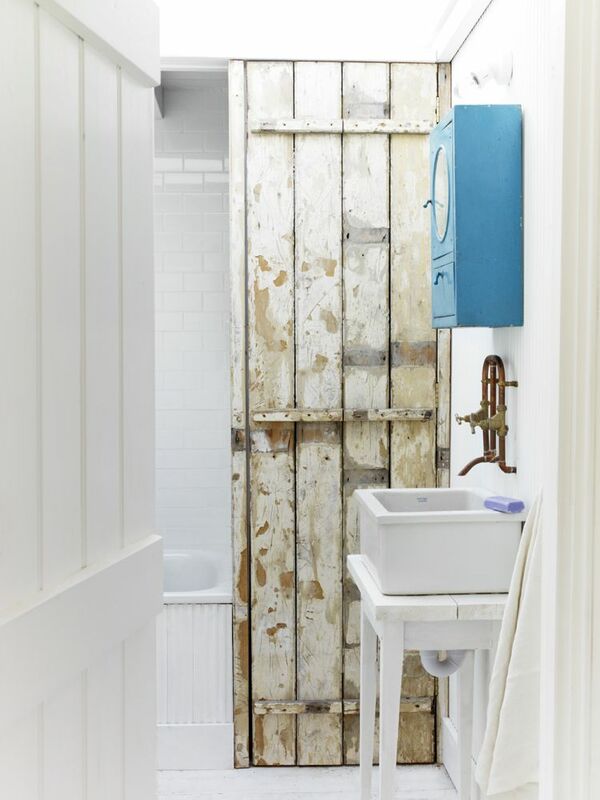 Depending on the level of rusticity, new wood can be distressed with a wire brush, a power washer, chains, and so on. Here’s a great example of giving a new piece a weathered finish from Shades of Blue Interiors…and this superwoman, Rachel, built this desk! 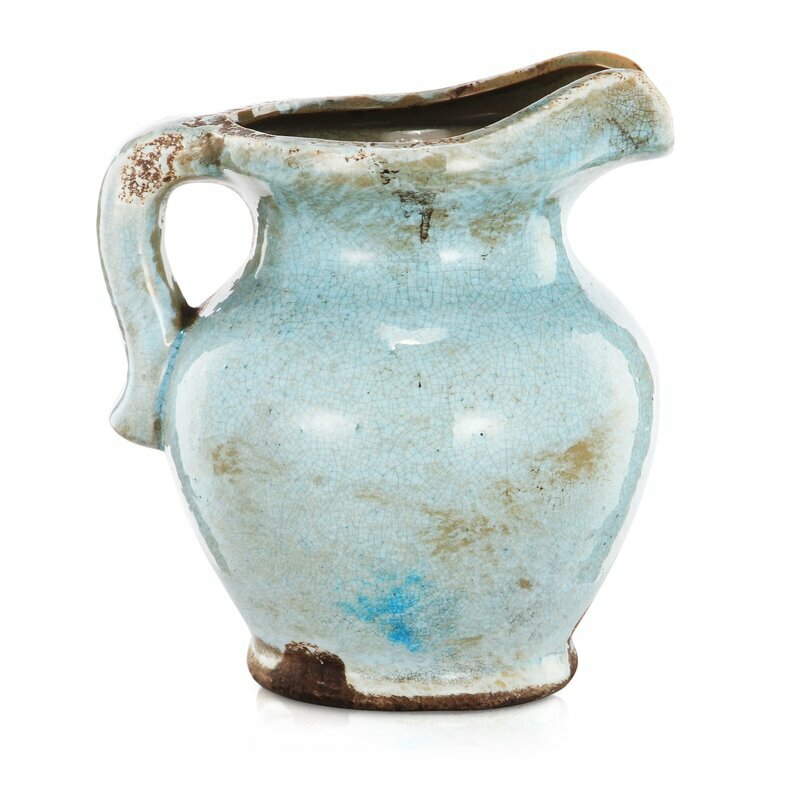 Sometimes the perfect antique is not available when you need it for a particular space. Or it doesn’t meet your needs for function, scale, or budget. To the rescue? Something weathered yet new. We all know intentional distressing can go VERY BADLY indeed. Oh my. There are some ghastly DIYS and examples in the marketplace. Here is a slew of friendly-priced furniture and decor suggestive of age. Some pieces are a bit more rustic than others, and you’ll find affiliate links for them all which I hope you’ll use since they don’t add any additional expense while supporting this blog. Thanks so much. 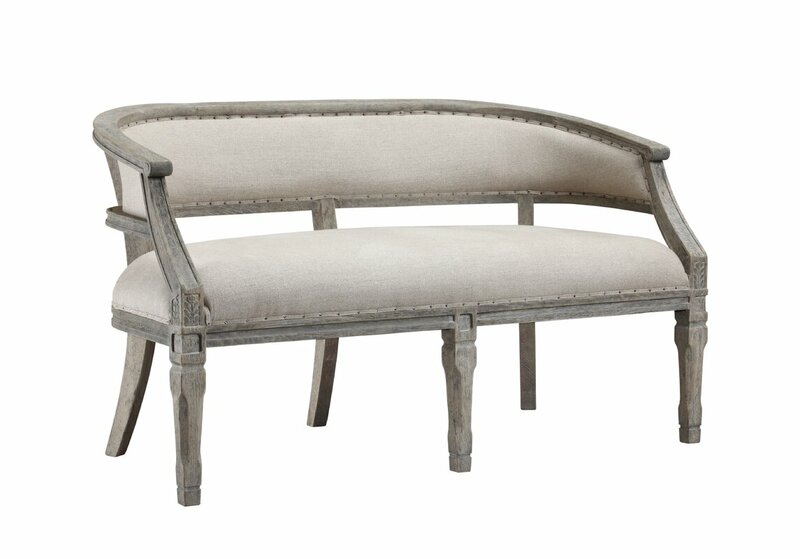 French Linen Upholstered Bench: FIND HERE. Lovely furniture and decor with weathered details. Interior design inspiration: antiqued, distressed, and aged finishes and design elements. 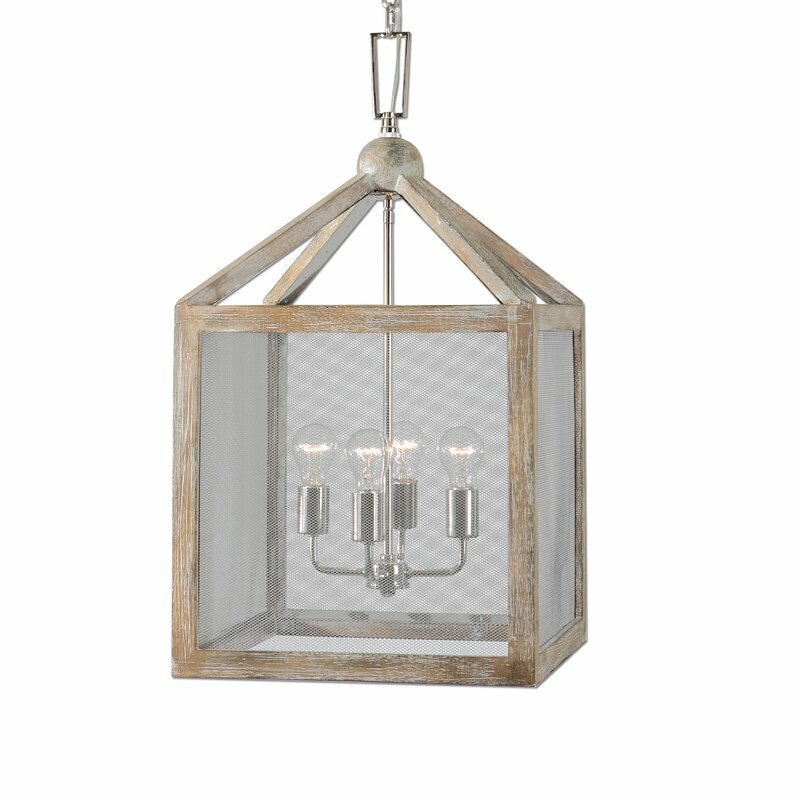 French Country 6 Light Chandelier: FIND HERE. Lovely furniture and decor with weathered details. Interior design inspiration: antiqued, distressed, and aged finishes and design elements. 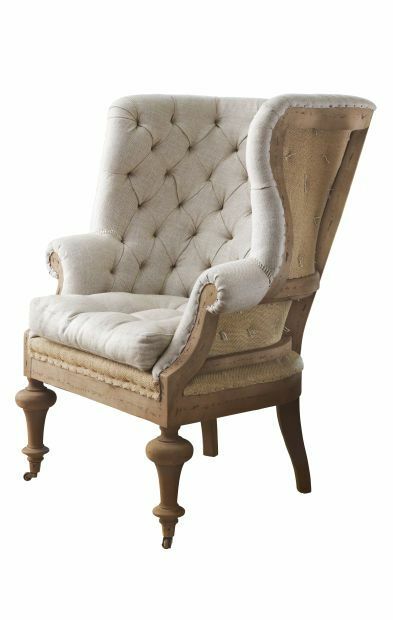 Tufted Wingback Chair: FIND HERE. Lovely furniture and decor with weathered details. Interior design inspiration: antiqued, distressed, and aged finishes and design elements. 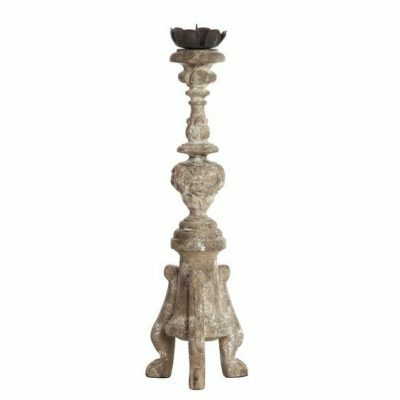 Aidan Gray French Country Candlestick: FIND HERE. Lovely furniture and decor with weathered details. Interior design inspiration: antiqued, distressed, and aged finishes and design elements. 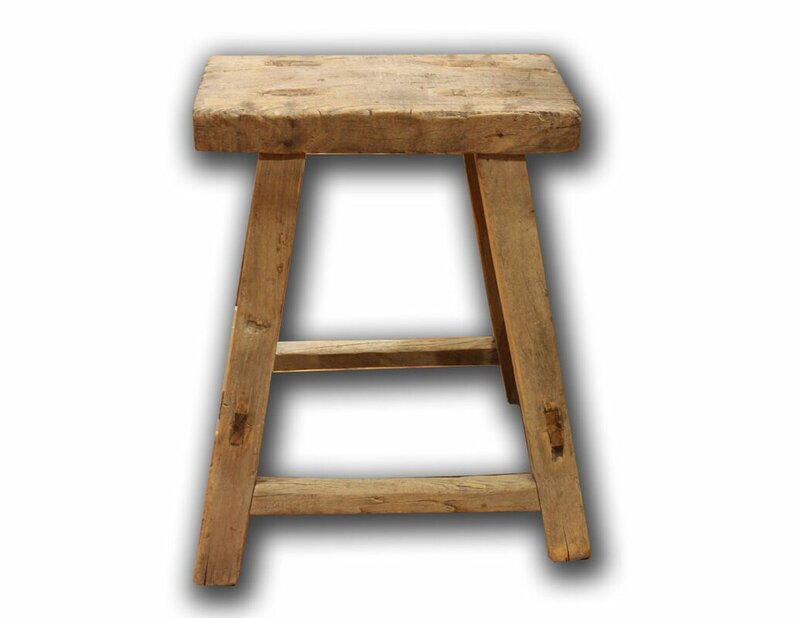 Farmhouse Teak Stool. 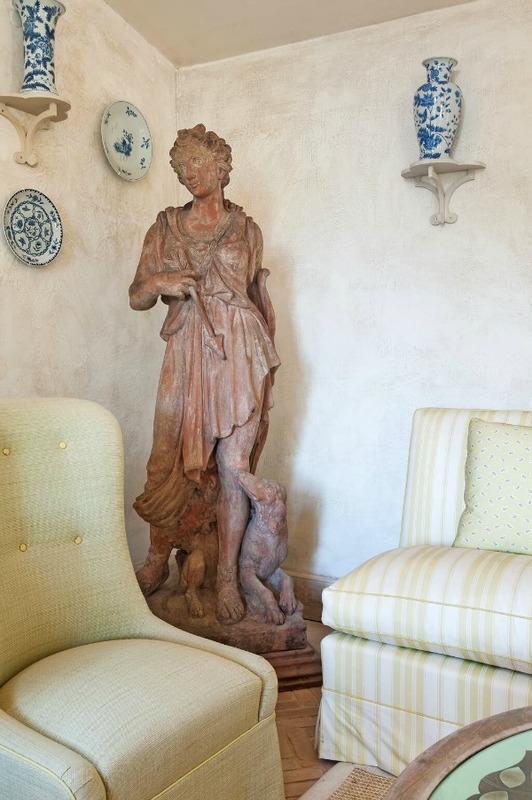 Lovely furniture and decor with weathered details. Interior design inspiration: antiqued, distressed, and aged finishes and design elements. 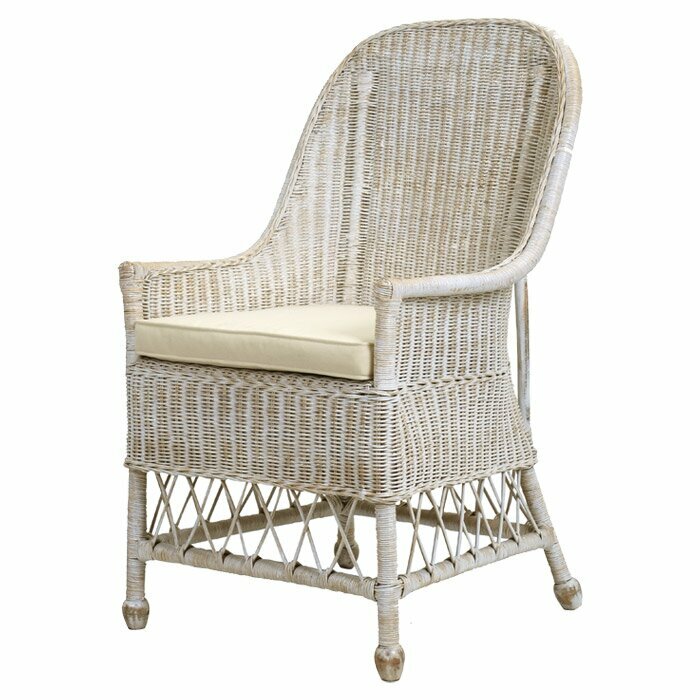 Rattan Armchair. Lovely furniture and decor with weathered details. Interior design inspiration: antiqued, distressed, and aged finishes and design elements. 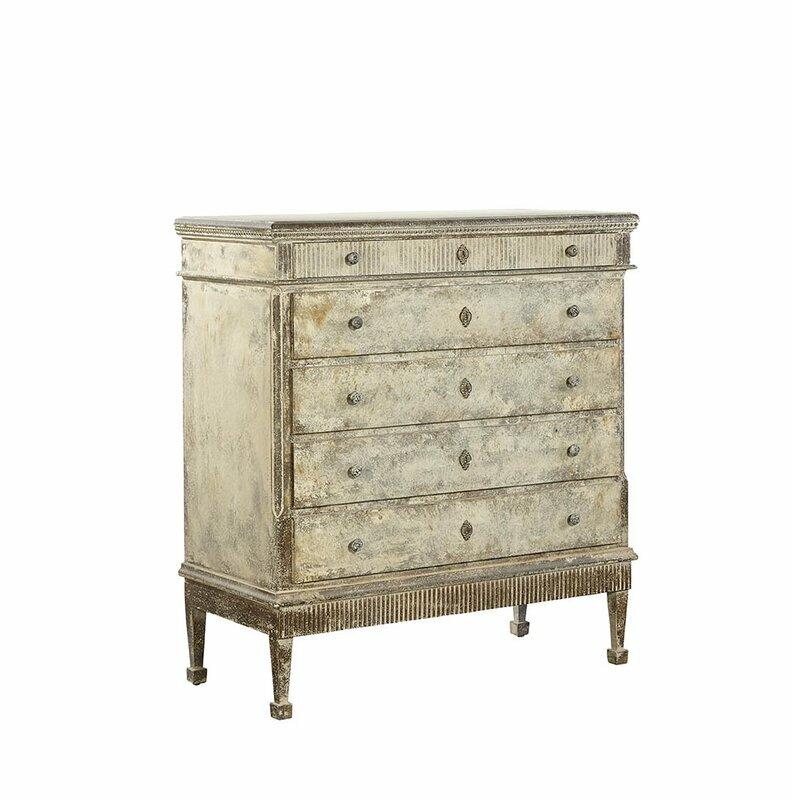 Accent Chest: FIND HERE. Lovely furniture and decor with weathered details. Interior design inspiration: antiqued, distressed, and aged finishes and design elements. 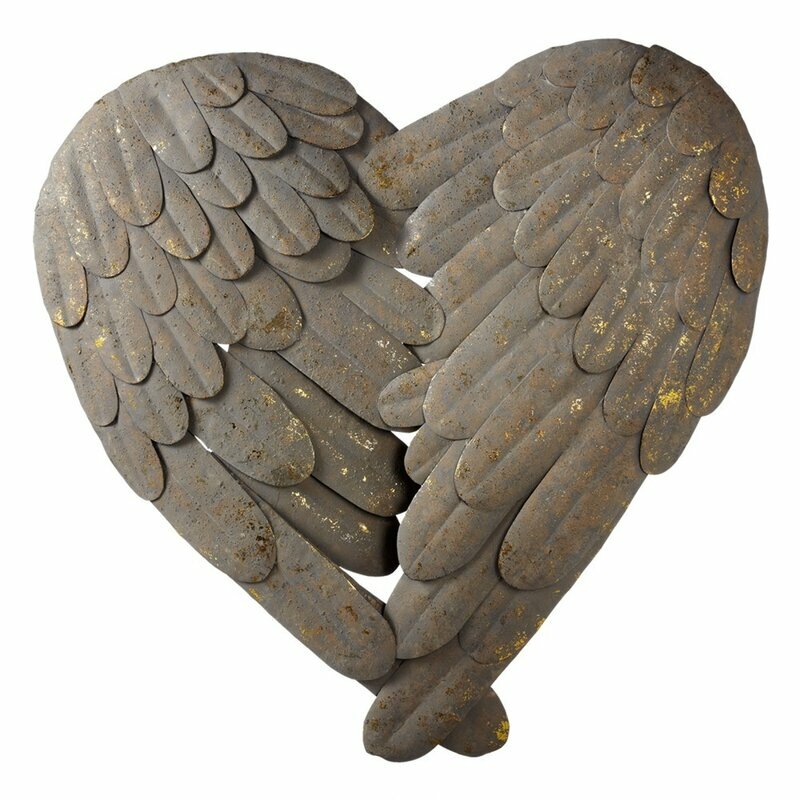 Wing Wall Decor: FIND HERE. Lovely furniture and decor with weathered details. Interior design inspiration: antiqued, distressed, and aged finishes and design elements. Lantern Pendant. Lovely furniture and decor with weathered details. Interior design inspiration: antiqued, distressed, and aged finishes and design elements. 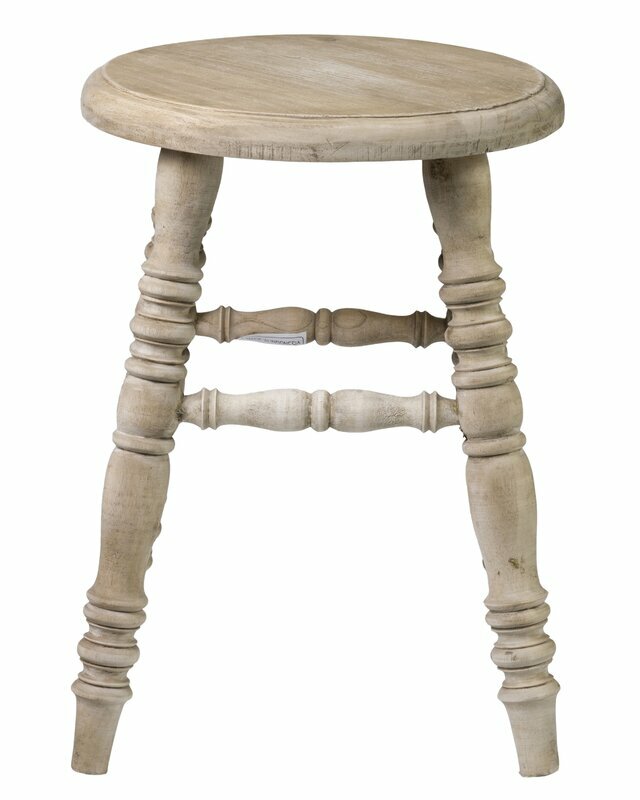 Bar Stool Set of 2. Lovely furniture and decor with weathered details. Interior design inspiration: antiqued, distressed, and aged finishes and design elements. 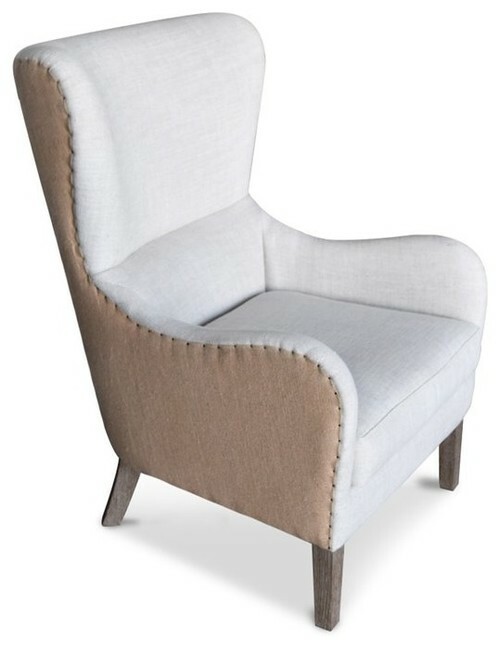 Wingback Accent Chair: FIND HERE. Lovely furniture and decor with weathered details. Interior design inspiration: antiqued, distressed, and aged finishes and design elements. 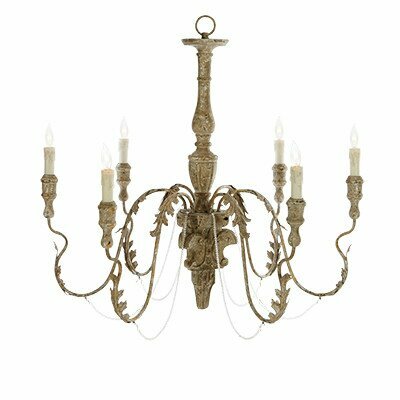 French Country Charlemagne Chandelier. Interior design inspiration: weathered finishes on furniture, decor, walls, doors, and stone. Come discover beautiful furniture and decor with aged details and antiqued finishes…certainly lovely indeed. Pine Wood Crate. Interior design inspiration: weathered finishes on furniture, decor, walls, doors, and stone. 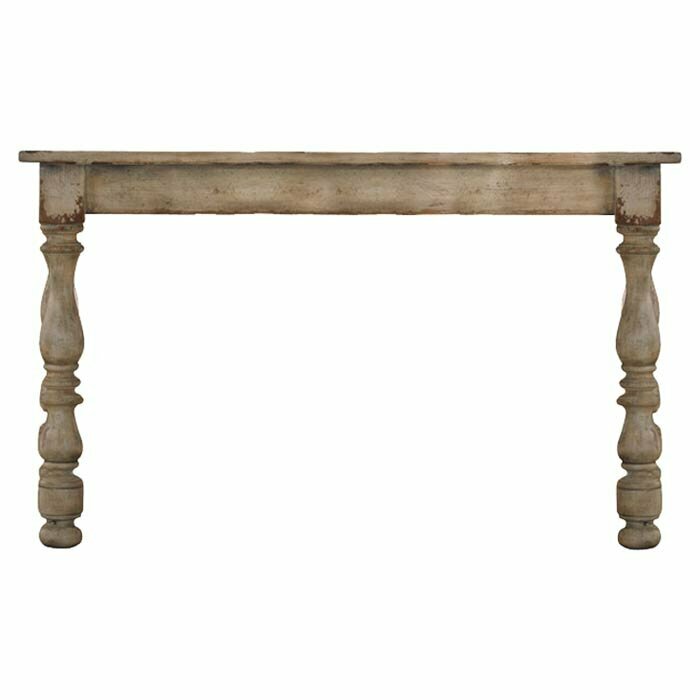 Come discover beautiful furniture and decor with aged details and antiqued finishes…certainly lovely indeed. Berniece End Table. Interior design inspiration: weathered finishes on furniture, decor, walls, doors, and stone. 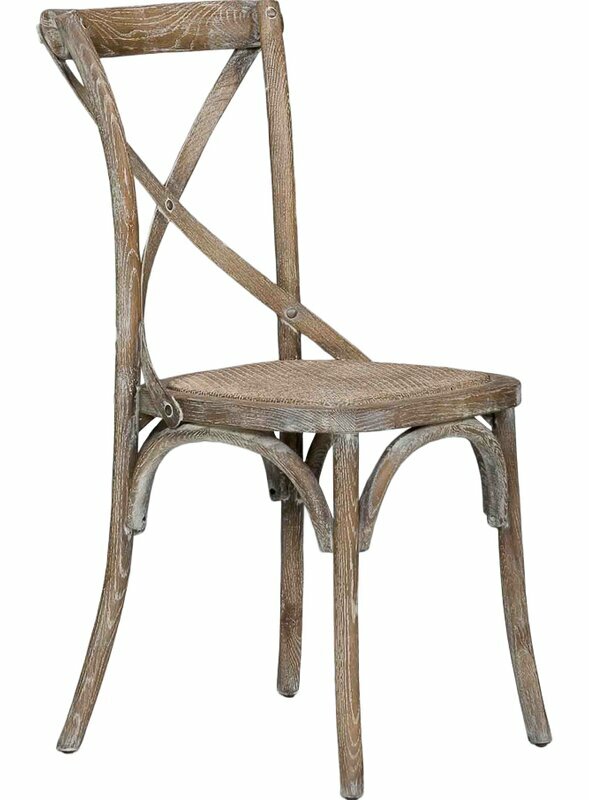 Come discover beautiful furniture and decor with aged details and antiqued finishes…certainly lovely indeed. Rustic Pitcher. Interior design inspiration: weathered finishes on furniture, decor, walls, doors, and stone. Come discover beautiful furniture and decor with aged details and antiqued finishes…certainly lovely indeed. 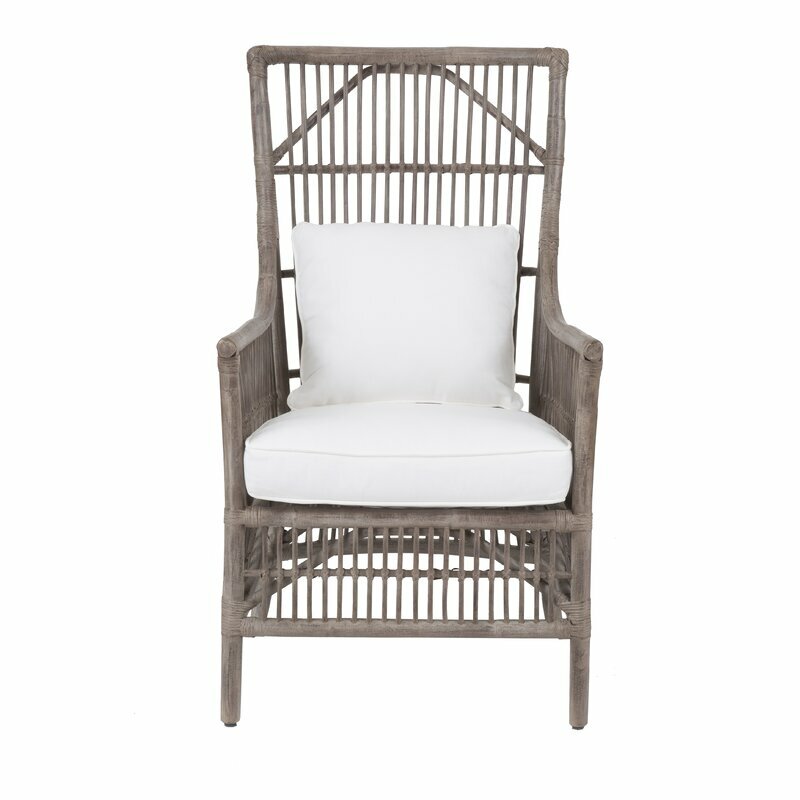 Rattan Armchair: FIND HERE. Interior design inspiration: weathered finishes on furniture, decor, walls, doors, and stone. Come discover beautiful furniture and decor with aged details and antiqued finishes…certainly lovely indeed. 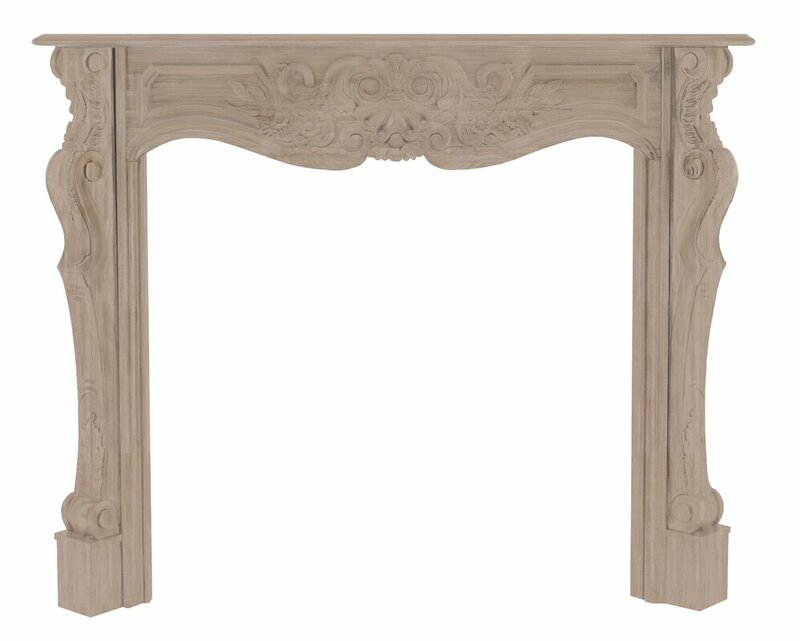 Mantel Surround. Interior design inspiration: weathered finishes on furniture, decor, walls, doors, and stone. 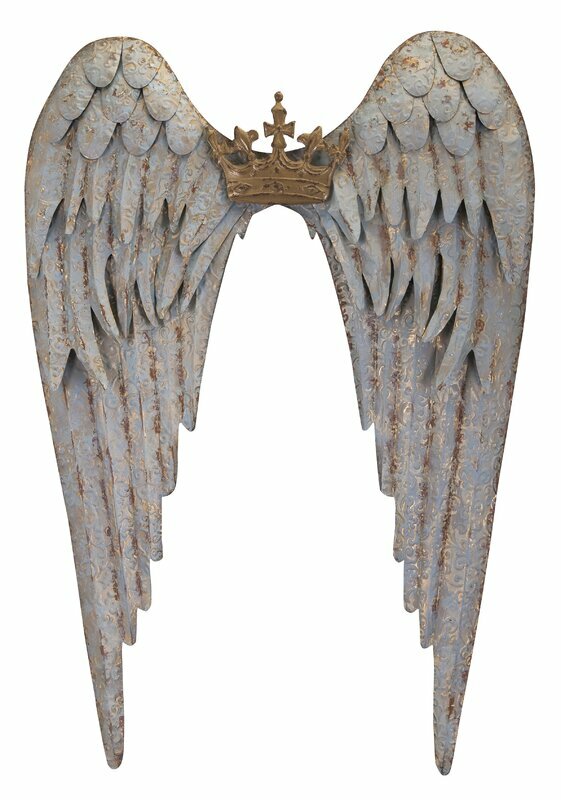 Come discover beautiful furniture and decor with aged details and antiqued finishes…certainly lovely indeed. 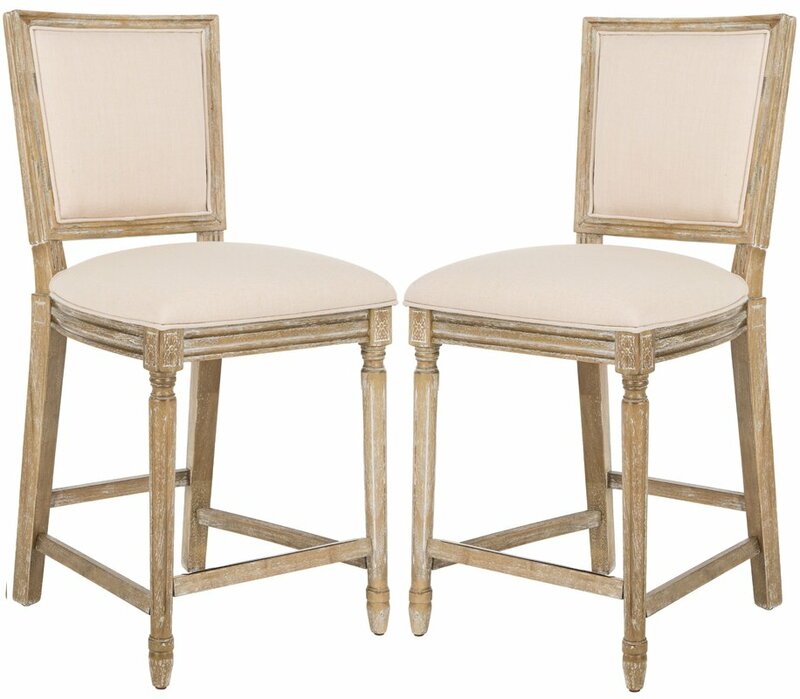 Dining Chair, Set of 2: FIND HERE. Interior design inspiration: weathered finishes on furniture, decor, walls, doors, and stone. 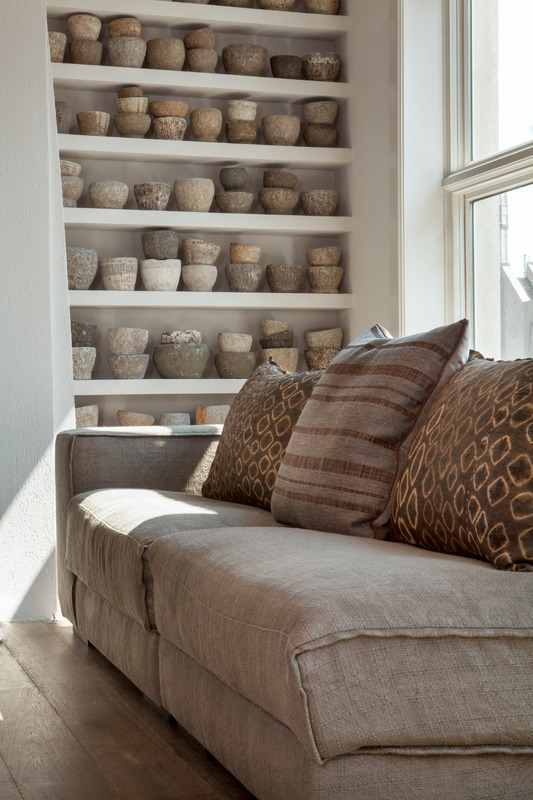 Come discover beautiful furniture and decor with aged details and antiqued finishes…certainly lovely indeed. 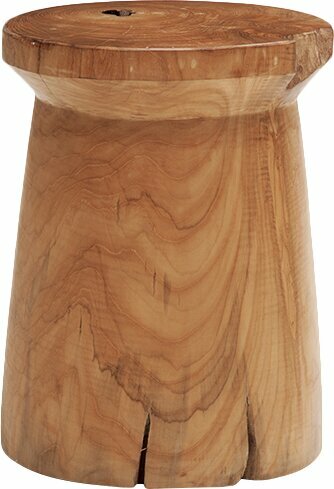 Elm Accent Stool. Interior design inspiration: weathered finishes on furniture, decor, walls, doors, and stone. Come discover beautiful furniture and decor with aged details and antiqued finishes…certainly lovely indeed. 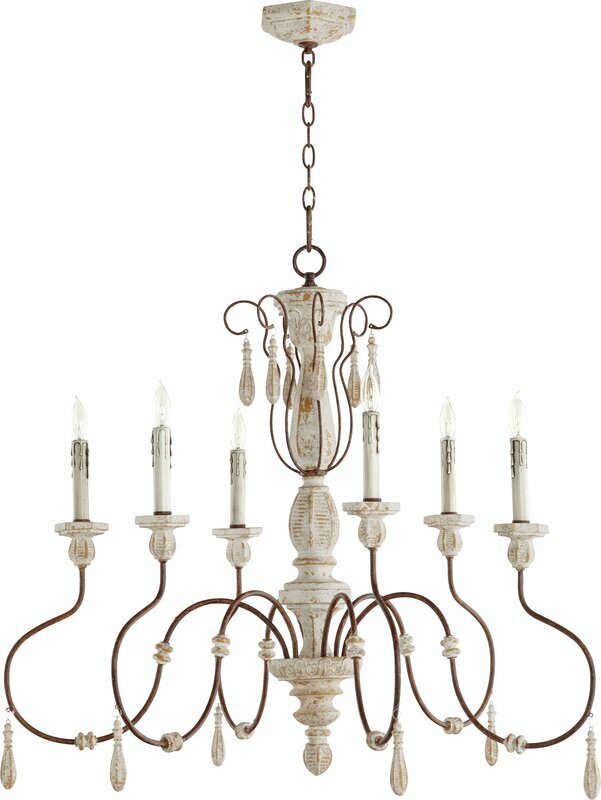 French Country Londra Lamp. Interior design inspiration: weathered finishes on furniture, decor, walls, doors, and stone. Come discover beautiful furniture and decor with aged details and antiqued finishes…certainly lovely indeed. Lounge Chair: FIND HERE. Interior design inspiration: weathered finishes on furniture, decor, walls, doors, and stone. Come discover beautiful furniture and decor with aged details and antiqued finishes…certainly lovely indeed. 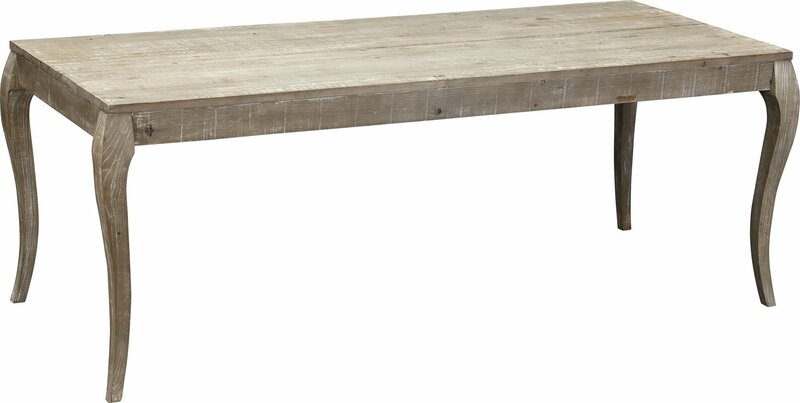 Rustic Dining Table. Interior design inspiration: weathered finishes on furniture, decor, walls, doors, and stone. Come discover beautiful furniture and decor with aged details and antiqued finishes…certainly lovely indeed. 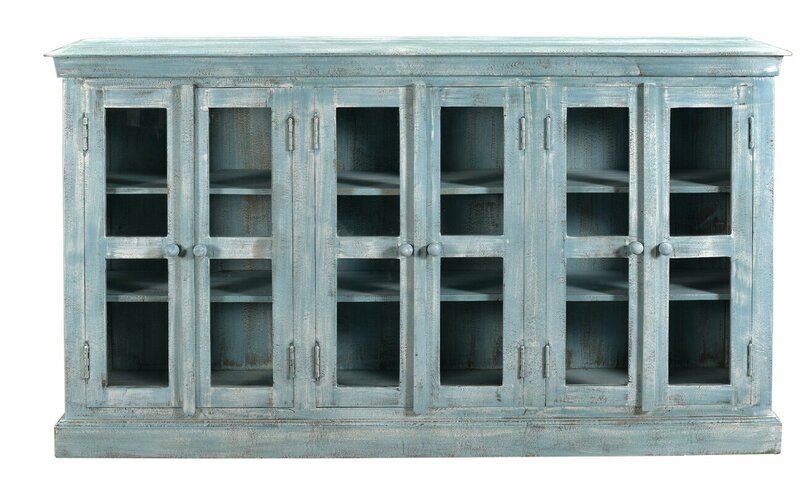 Blue Sideboard. Interior design inspiration: weathered finishes on furniture, decor, walls, doors, and stone. Come discover beautiful furniture and decor with aged details and antiqued finishes…certainly lovely indeed. 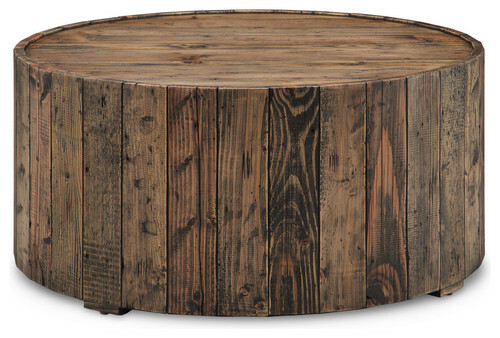 Rustic Round Cocktail Table: FIND HERE. Interior design inspiration: weathered finishes on furniture, decor, walls, doors, and stone. Come discover beautiful furniture and decor with aged details and antiqued finishes…certainly lovely indeed. Rustic Crafted Gray Bowl: FIND HERE. Interior design inspiration: weathered finishes on furniture, decor, walls, doors, and stone. Come discover beautiful furniture and decor with aged details and antiqued finishes…certainly lovely indeed. 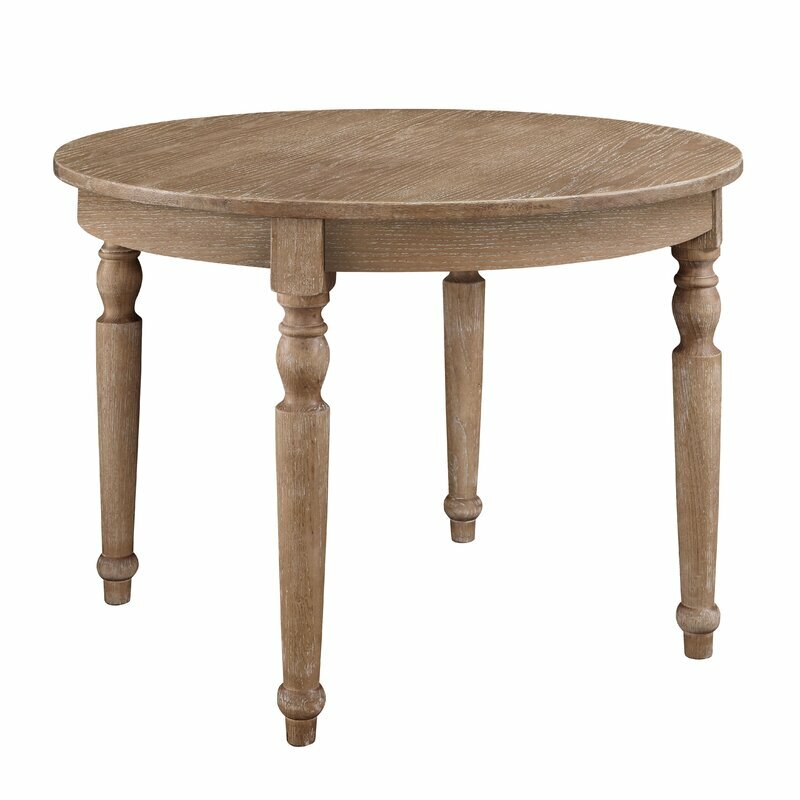 Round End Table: FIND HERE. Interior design inspiration: weathered finishes on furniture, decor, walls, doors, and stone. Come discover beautiful furniture and decor with aged details and antiqued finishes…certainly lovely indeed. 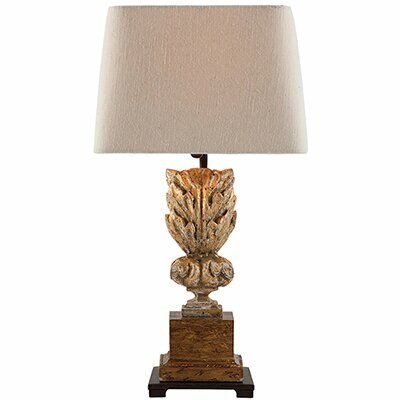 French Country Adia Table Lamp. Interior design inspiration: weathered finishes on furniture, decor, walls, doors, and stone. Come discover beautiful furniture and decor with aged details and antiqued finishes…certainly lovely indeed. 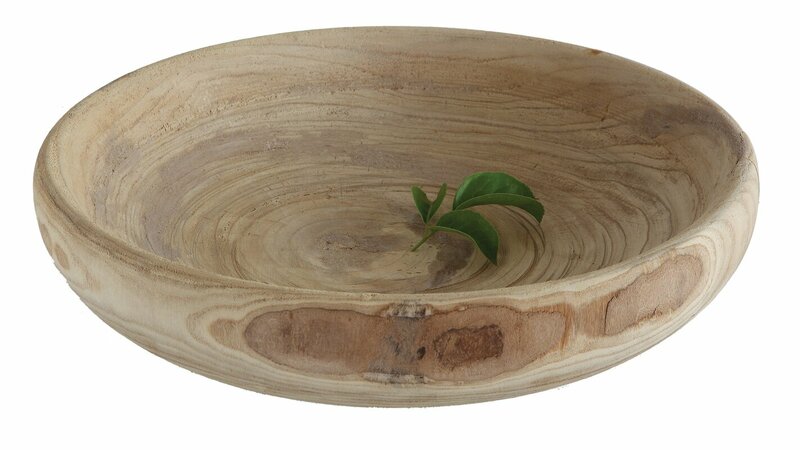 Rustic Wood Bowl: FIND HERE. Interior design inspiration: weathered finishes on furniture, decor, walls, doors, and stone. Come discover beautiful furniture and decor with aged details and antiqued finishes…certainly lovely indeed. 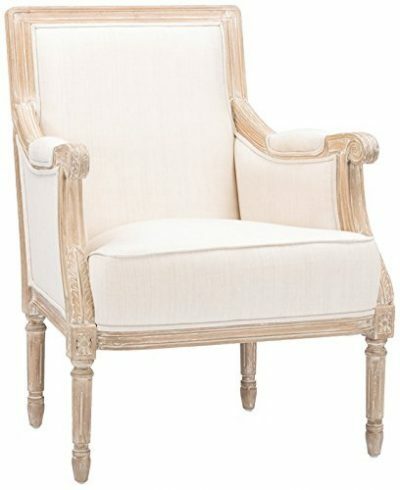 French Country Arm Chair. Interior design inspiration: weathered finishes on furniture, decor, walls, doors, and stone. Come discover beautiful furniture and decor with aged details and antiqued finishes…certainly lovely indeed. 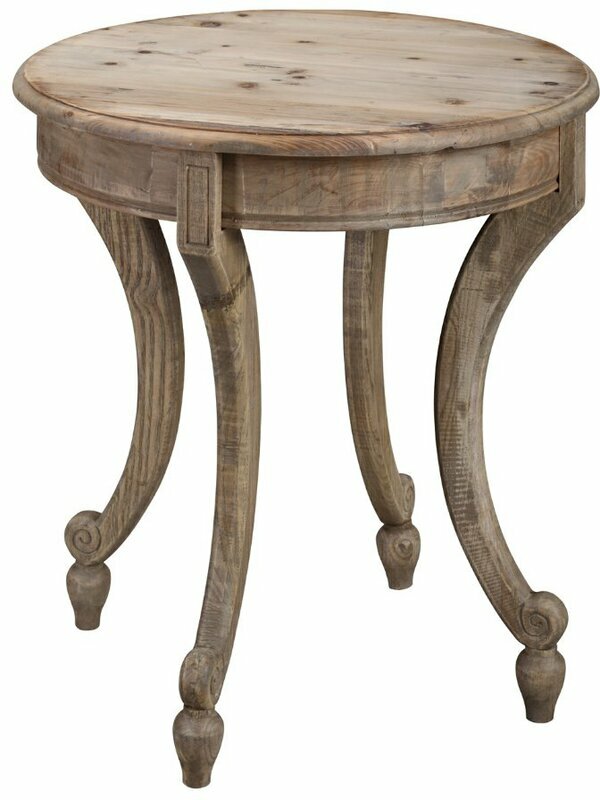 Rustic Round Dining Table. Interior design inspiration: weathered finishes on furniture, decor, walls, doors, and stone. Come discover beautiful furniture and decor with aged details and antiqued finishes…certainly lovely indeed. 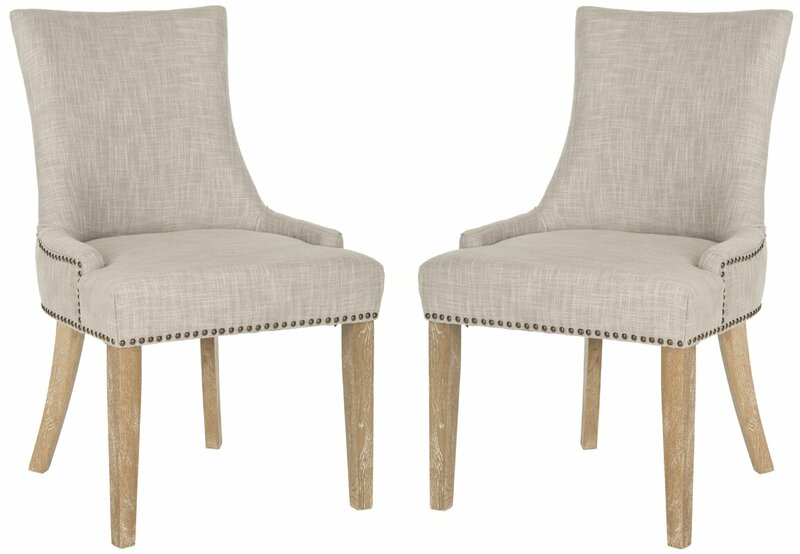 Linen Side Chair Set: FIND HERE. Interior design inspiration: weathered finishes on furniture, decor, walls, doors, and stone. Come discover beautiful furniture and decor with aged details and antiqued finishes…certainly lovely indeed. 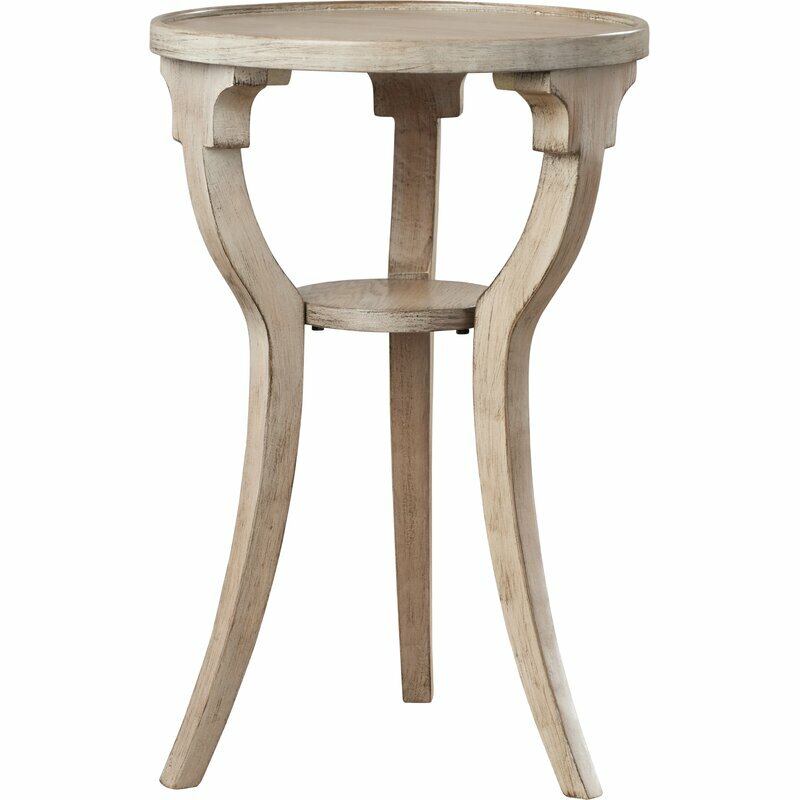 Organic Round Teak Stool: FIND HERE. 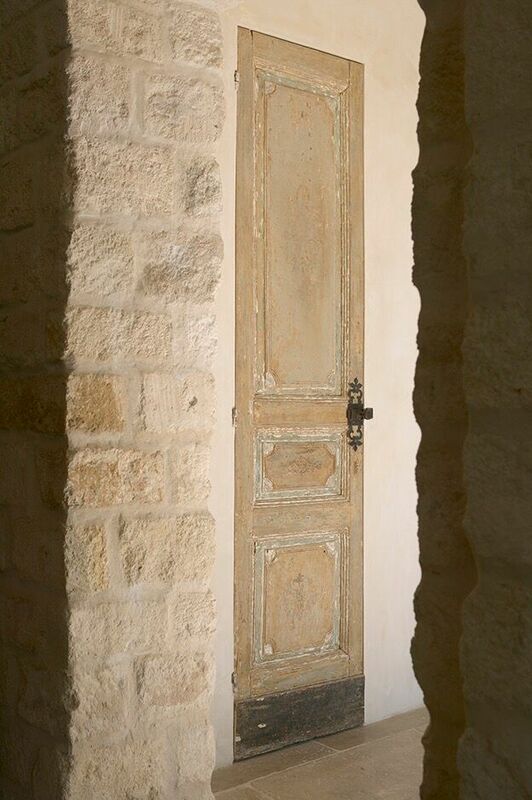 Interior design inspiration: weathered finishes on furniture, decor, walls, doors, and stone. Come discover beautiful furniture and decor with aged details and antiqued finishes…certainly lovely indeed. 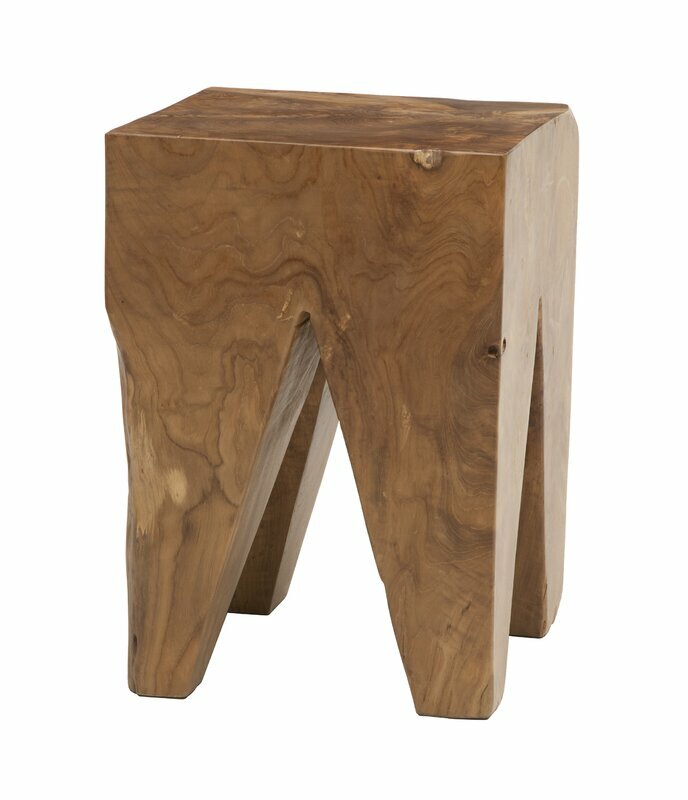 Organic Teak Stool: FIND HERE. Interior design inspiration: weathered finishes on furniture, decor, walls, doors, and stone. Come discover beautiful furniture and decor with aged details and antiqued finishes…certainly lovely indeed. 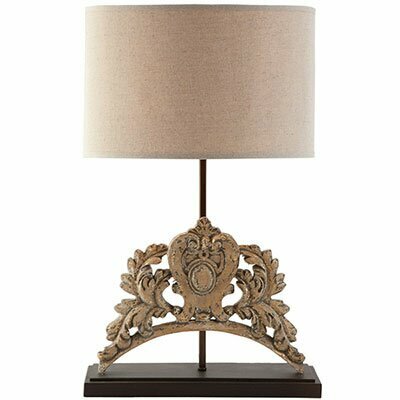 28.5″ Table Lamp (Aidan Gray): FIND HERE. Interior design inspiration: weathered finishes on furniture, decor, walls, doors, and stone. Come discover beautiful furniture and decor with aged details and antiqued finishes…certainly lovely indeed. 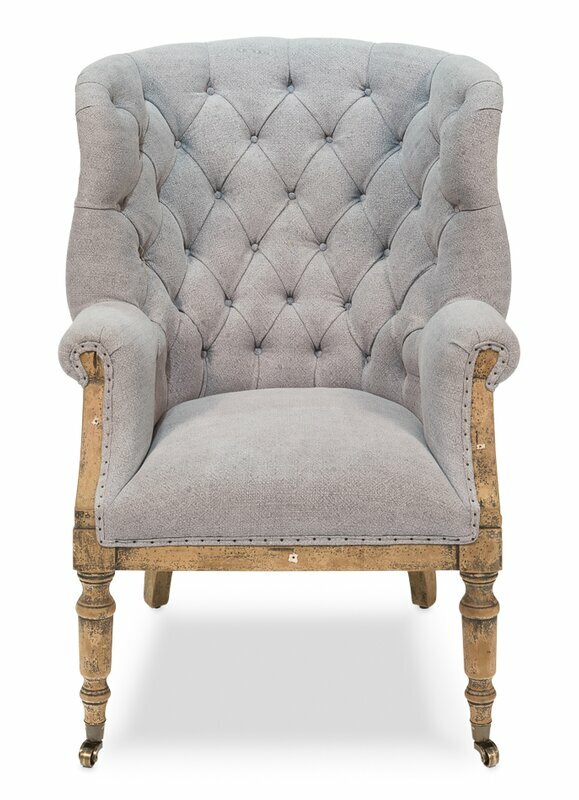 Fontaine Wingback Chair: FIND HERE. Interior design inspiration: weathered finishes on furniture, decor, walls, doors, and stone. Come discover beautiful furniture and decor with aged details and antiqued finishes…certainly lovely indeed. 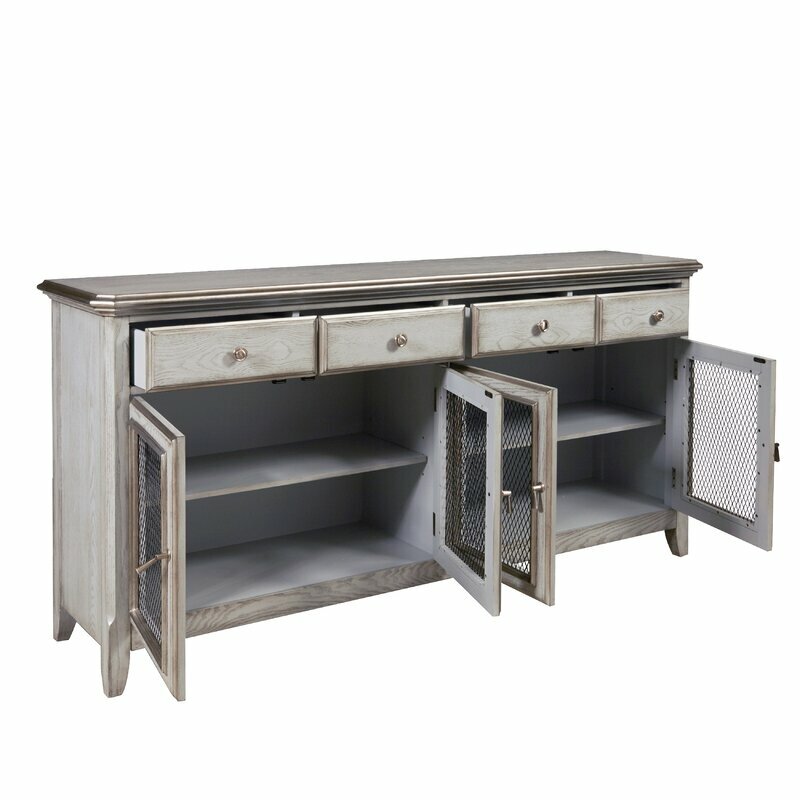 Credenza with Wire Mesh Doors. Interior design inspiration: weathered finishes on furniture, decor, walls, doors, and stone. Come discover beautiful furniture and decor with aged details and antiqued finishes…certainly lovely indeed. Feather Iron Wall Decor. Interior design inspiration: weathered finishes on furniture, decor, walls, doors, and stone. Come discover beautiful furniture and decor with aged details and antiqued finishes…certainly lovely indeed. Thank you for your continued prayers. I sense the cushion of sweet grace from corners near and far and am ever grateful. I am a few days post-op and my wounds are tender. Solid foods are being introduced, and I hope to soon tolerate things I was forced to eliminate before surgery. My weight is good (mama’s tummy is swollen and unlovely). Staying asleep at night is still a challenge, and I look forward to feeling less irritable very soon. I hope you are all out there saving the world if you have your health and senses intact. I hope you are WEATHERING every storm rolling in and not feeling too weary. I love helping you select friendly priced lovely products, and some of these links may earn me a small commission when used for purchases. Next Post Nora Murphy Country Style to Inspire! Michele, I love the color of your night tables. Would you do a detailed post on how you obtained the look? I have an oak set in my bedroom. 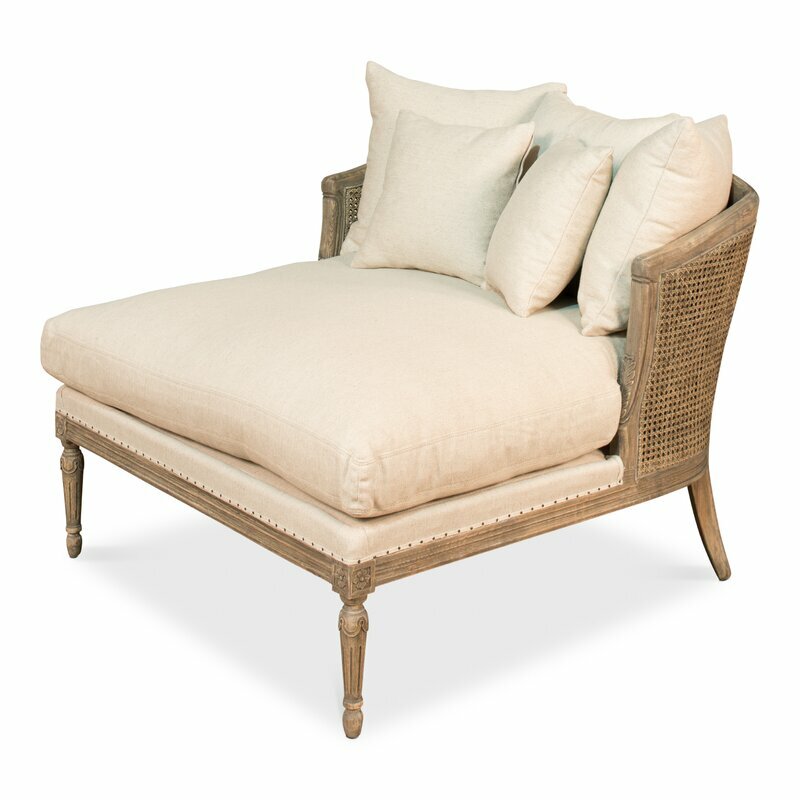 I replaced the bed with an upholstered one in a taupe linen. I’ve been flip flopping between staining my oak dark, or painting it white, or just painting the night tables…. I like the style of the pieces but it needs a softer update. I would love to. It’s a great idea. My mom has been urging to me to do a tutorial for ages since she is also ready to give her bedroom furniture a facelift (and um. it’s the exact same bed and nightstands at her place since she picked mine out!). Thanks for the encouragement. I sort of overdid it with food yesterday and now understand how I need to be disciplined and patient. The cheese is on the horizon but not yet my friend. 🙂 Watch for that post!